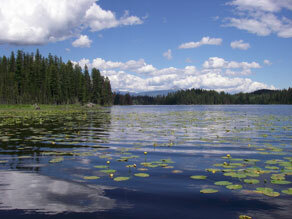 Star Lake Fishing Resort - Great fishing and unspoiled wilderness await! 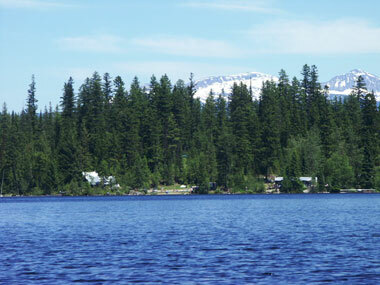 Star Lake Fishing Resort is nestled on the edge of the Nehalliston Plateau overlooking the scenic North Thompson Valley and the friendly little town of Clearwater, British Columbia. The resort is ideal for fishing enthusiasts, family vacations, or quiet retreats. The majestic mountains of the world famous Wells Gray Park serve as a picturesque backdrop. The unspoiled wilderness, sparkling fresh mountain water, and virgin forests provide a relaxing Vacation Getaway. Talk to someone that's stayed at Star Lake Resort. These people now have a new meaning for the word solitude. Star Lake Resort is a true "wilderness getaway". With our nearest neighbor being over 10 km. away, we offer peace, quiet, and relaxation. Of course if you are hooked on fishing then Star Lake Resort is the place to be. Star Lake is full of Kamloops Rainbow Trout, and has the added bonus of being surrounded by hundreds of out lying lakes. All full of trout! It's a fisherman's dream come true. 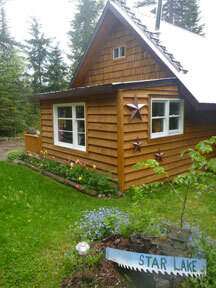 You'll feel right at home in any one of our bright, clean housekeeping cabins. They all have a fabulous view of the lake. Imagine sitting on your cabin veranda with the water lapping at your feet, and the only sounds you hear are the fish jumping, the fire crackling, and the mournful cry of the resident loons. At Star Lake Resort we have the best of both worlds. A secluded wilderness getaway, and yet only fifteen minutes away from Clearwater, and only 25 minutes away from world famous Wells Grey Park.